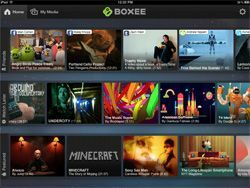 Boxee Box introduces free iPad app for video streaming | What Hi-Fi? Boxee has launched a free iPad app to accompany the Boxee Box by D-Link. We brought you news of the app back in June but it's now official. Available now, Boxee for iPad allows you to stream content from your Mac/PC directly to your iPad, while also accessing other online content within the Boxee browser. Anything users watch via Boxee for iPad can then be streamed straight to a TV via a connected Boxee Box. Kevin Wen, President of D-Link Europe, said: “Working together to bring Boxee Box users this new integration reinforces our commitment to ensuring devices in the home should be all talking to one another. You can read our review of the Boxee Box here.